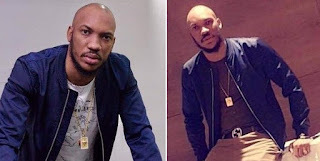 An internet troll by the name Tayomi got more than he bargain for when he recently called out peeshun of skuki for allegedly wearing same jacket twice. 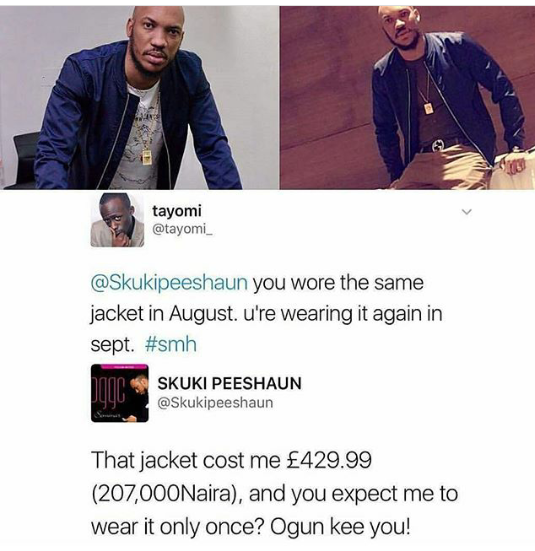 Skukipeeshun who probably went to the university of savagery pounced on Tayomi like an hungry Lion with an epic reply. 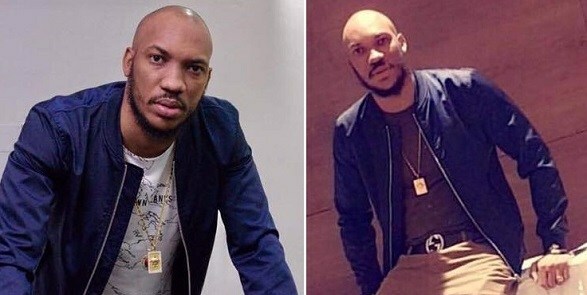 That jacket cost me N207,000 and you expect me to wear it only once, Ogun kill you.